Australian universities have made made big gains in the latest Time Higher Education (THE) world university rankings, with one new entrant joining the world’s top 200, and most of Australia’s top universities moving up the rankings. 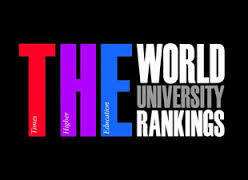 Melbourne University remains Australia’s top-ranked university in 33rd position globally, ahead of the Australian National University (ANU) in Canberra at 45th (up from 48th last year), the University of Sydney at 60th (up from 72nd) and the University of Queensland at 65th position (down from 63rd). Adelaide made the top 200, coming in at 164, and Curtin University and the University of Western Sydney made it into the top 400. The data shows that Australia does not have just a few world-class universities, but a world-class system – in addition to the eight universities which make the world top 200, there are a further 12 universities which make the 200-400 group. The big question, as Australia moves into a period of radical reform with the full deregulation of tuition fees, is whether this admirable strength-in-depth can be maintained. The reforms may help a small Australian elite protect or even improve their global standing, but what about the rest? Are we going to see a greater polarisation in Australia between a global super-elite and a large number of also-rans declining? Professor Ian Young, vice-chancellor of ANU and chair of the Group of Eight elite research universities, said without reforms such as higher fees, Australian universities will no longer compete on the world stage. There’s very strong correlation between funding and how you perform as an international institution. So indeed if deregulation doesn’t go through the Senate, that will mean that there’ll be less funds for Australia’s universities to be able to function at those levels. Unless we as a nation can invest in our universities to invest in quality research to build the education programs that we need for the future, then that does not bode well either for our universities or indeed for the future prosperity of the nation. But the National Tertiary Education Union (NTEU) said the opposite is the case. NTEU president Jeannie Rae says the rankings show the dangers of pressing ahead with deregulation or privatisation of universities. Some of our universities will be in a position to compete amongst one another on higher fees, whilst of course the rest of the universities struggle to find a fee rate that students and their families can afford to pay. So we will be looking at probably some places doing very well but others doing more and more poorly, and they’re the ones that educate the majority of Australians. Meanwhile, it’s been announced that The University of Melbourne will host the prestigious Times Higher Education World Academic Summit in October 2015, bringing senior university, government and industry leaders from around the world to Melbourne. The World Academic Summit is the flagship event of Times Higher Education. It includes a two-day conference and the announcement of the widely referenced 2015 Times Higher Education World University Rankings.